New to Solos is this fantastic break in Bulgaria’s highest, oldest, most famous and most popular ski resort. Borovets famously offers fantastic value with comfortable accommodation and a wonderful après ski scene. Beginners and improvers will love the wide slopes and English-speaking ski school. 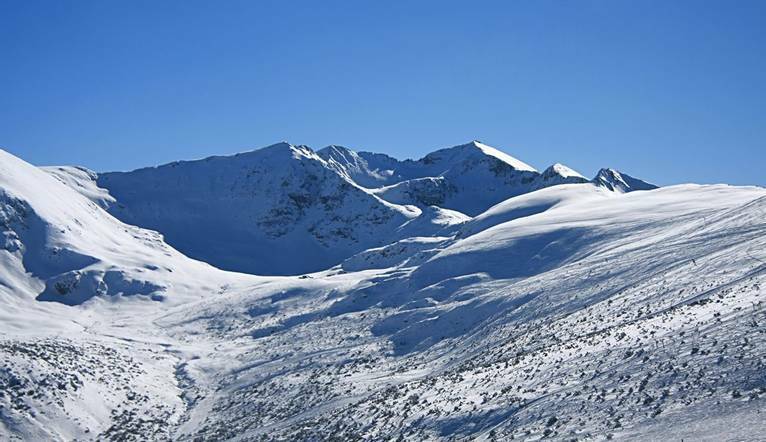 Situated on the northern slopes of the Rila Mountain range, Borovets is Bulgaria’s oldest and most popular ski resort. Here, you can look forward to fantastic alpine views. The 58km of slopes is separated into three sections, with Skitnyakovo Central being the largest, overlooking the town and offering gentle, winding slopes. The Markudjik ski centre offers high altitude skiing up to 2,550m and Yastrebets offers FIS runs and Borosport Snow Park. Borovets is a wonderful place to learn to ski or snowboard, and there are over 200 instructors (many of which are former professional skiers) who will help us learn the ropes at a very good price. There’s also been a lot of investment in snow-making equipment. The town is renowned for its après ski and nightlife - it’s even said to be one of Europe’s greatest party hotspots! Borovets also offers a great range of restaurants serving international and Bulgarian food, and being a relatively compact town, everything is just a ride away from our hotel. If you fancy a day off from skiing, snow biking, snow tubing, snowmobiling and sleigh rides are available to book in your resort. Located in one of the most picturesque spots in Borovets, our hotel is also just 100 meters away from the Yastrebets 3 ski slope from where skiers have access to the whole infrastructure of the resort. The Gondola is 1.5km away, and can be reached by shuttle buses that stop right outside the hotel. Hotel facilities include an indoor pool, wellness area with saunas, steam room, fitness centre and relaxation area, lounge/bar (with open fire) and restaurant where we can enjoy Bulgarian as well as European cuisine. Room facilities include television and minibar (extra charge). Free Wi-Fi is available throughout the hotel. The transfer from Sofia Airport to the hotel is approximately 1 hours, depending on weather and traffic. We suggest a Group Collection to cover guides, transfer drivers, and hotel staff of €20.00 per person. Your Tour Leader will collect this on your behalf and distribute it accordingly, thus relieving you of the burden of who, when and how much to tip. The tipping of housekeeping will be left to your individual discretion (a small amount left in your room on departure should cover this and would be much appreciated). As is customary, ‘the hat’ will be passed around for the driver and guide on all optional excursions. For any meals that are not included in your itinerary, or taxi fares, your Tour Leader can advise of an appropriate % to add on. If you choose to have ski lessons, you may also like to thank your ski instructor at the end of the week with a token of appreciation.